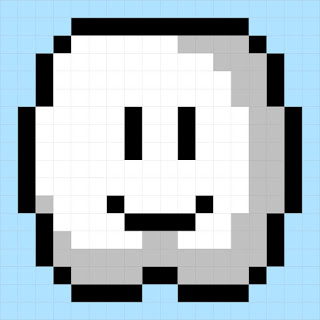 A Happy Cloud is one of the mainstays of the Mario World. Though technically not a friend or foe, this cloud is immediately recognizable as part of the landscape that makes up that strange and wonderful place Mario and friends call home. You can download the PDF of the Cloud HERE. There are a number of fabulous Mario and Luigi blocks that have popped up. And the Goomba is starting to make an appearance as well. Mario fans unite! We’ll soon have the internet buzzing with our retro amazing quilts! Yay! I'm way behind but I'll get there. I have the Goomba nearly finished just in time!! Love this cloud, he is so happy! These are amazing. My son loves super Mario. I might have to make this for him someday. Im not stitching with you, but am enjoying seeing the blocks. Buh. I SO wanted to do this QAL. 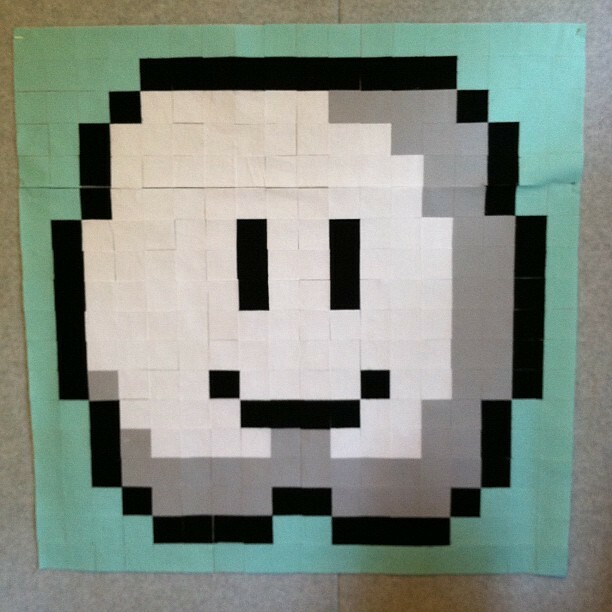 I fully intend on making this quilt later!